We’ve been busy with product updates from suppliers and manufacturers over the past few weeks. 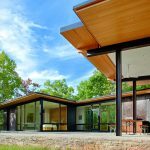 One thing we can say for sure is that new home exterior trends for 2019 are better than ever. 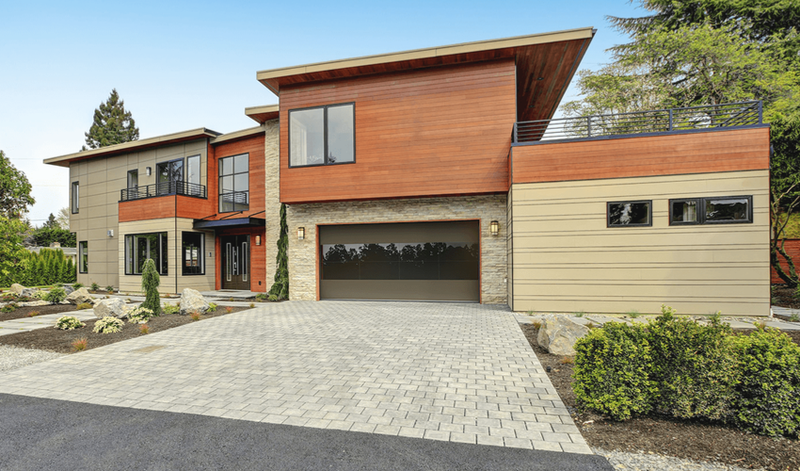 Check this list out if you are planning an exterior remodeling project and need some ideas to keep up with the latest trends and stay in style. If you want your windows to have a bold and unique look, try adding a splash of color to the trim. 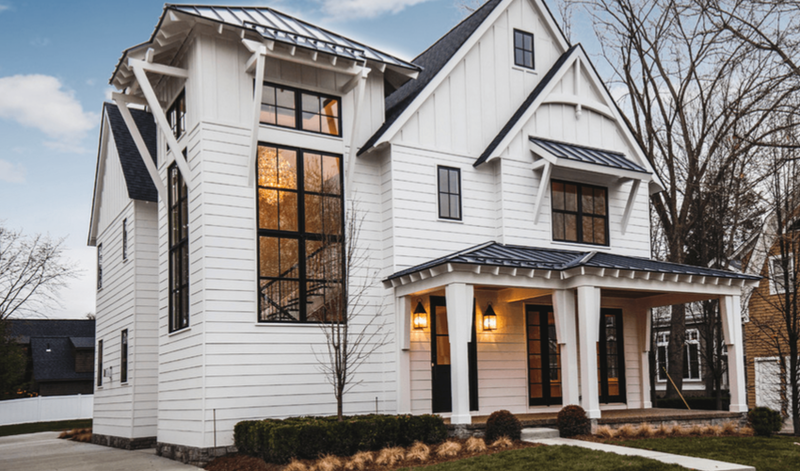 The trend for 2019 is black trim and can make a window stand out from miles away. Unique circular windows add a unique accent to any home. Great for stair landings or tight spaces to offer a natural daylight option. 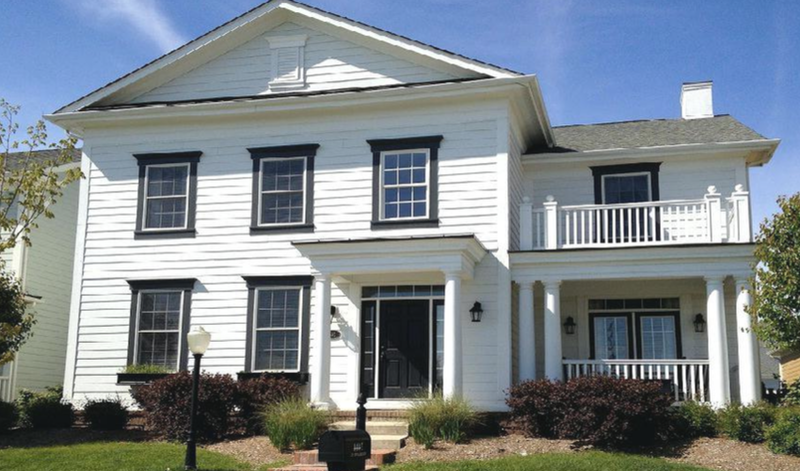 For an authentic and traditional look to your home, having smooth siding on your home will look modern and up to date. 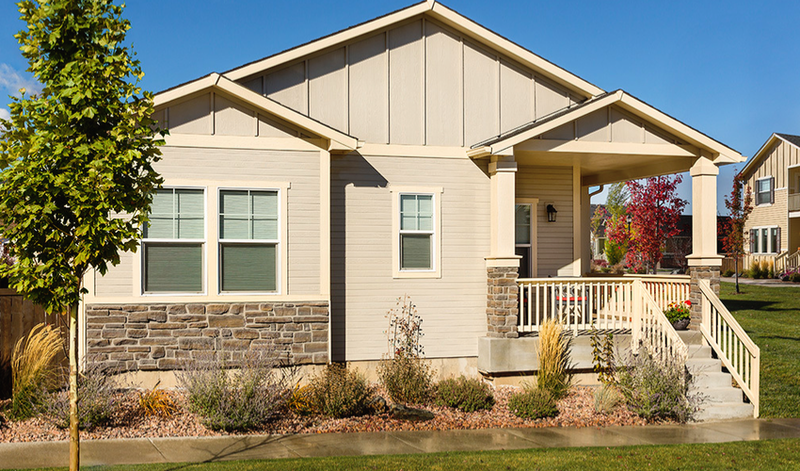 This type of siding is also durable for harsh weather conditions. Your home will look beautiful while displaying a natural look perfect for the new year. This is a contemporary look that is a classic look to any home. It is energy saving and extremely sound absorbing. 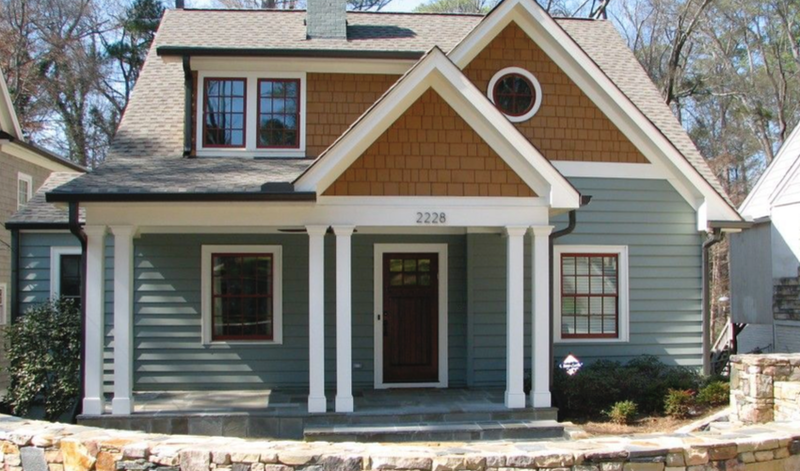 This type of siding can be applied to your entire home or accent applications such as the image above. 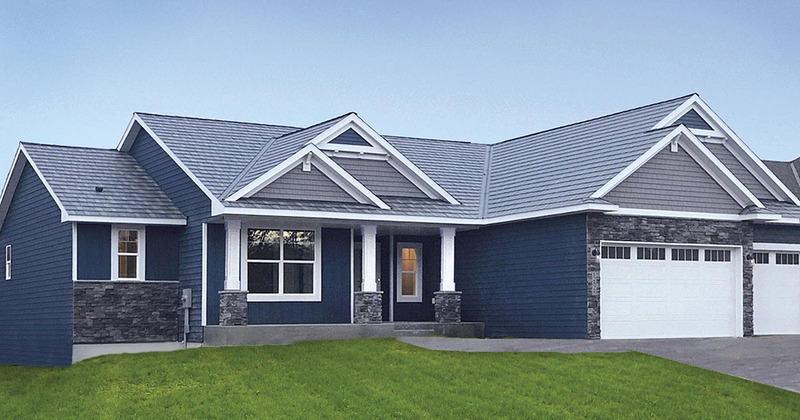 The vertical siding will provide a smooth and flat surface and can help reduce heating and cooling expenses. 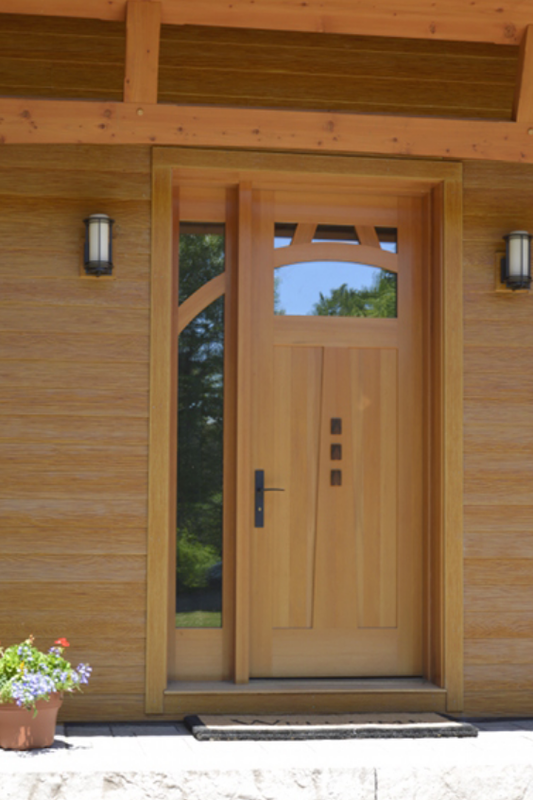 If you are looking to replace an exterior or interior door in your home, a Douglas fir grain door is a great option to consider. It consists of a smooth, striated texture, revealing a unique woodgrain pattern. 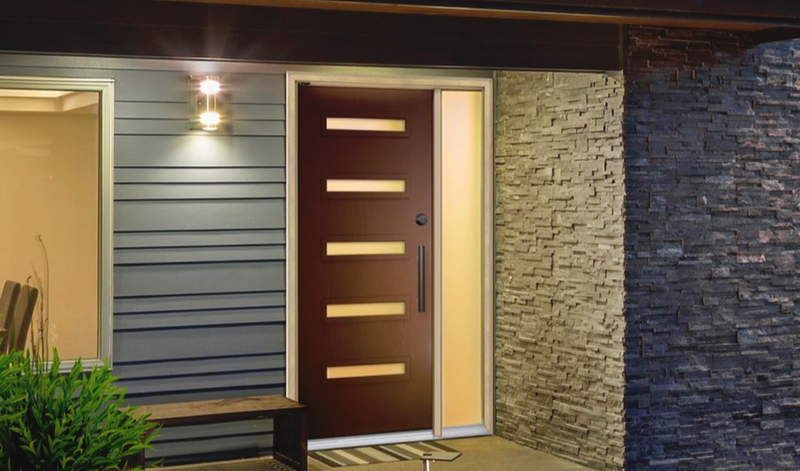 This has been a popular style choice over the past decade, but the introduction of the fir pattern into the fiberglass door market has changed the game. Natural wood is a fantastic choice if you looking for a warm and cozy look to your home. It’s unique texture makes your home in style and will complement your home well. 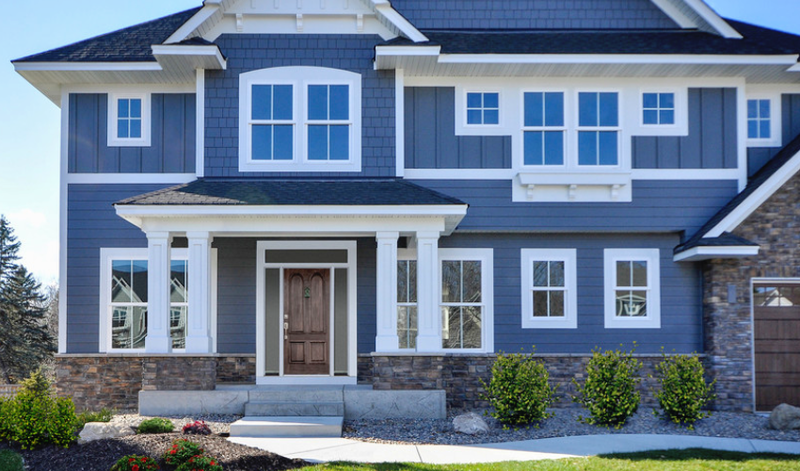 Adding a five panel door is a stylish and classic addition to your front porch. 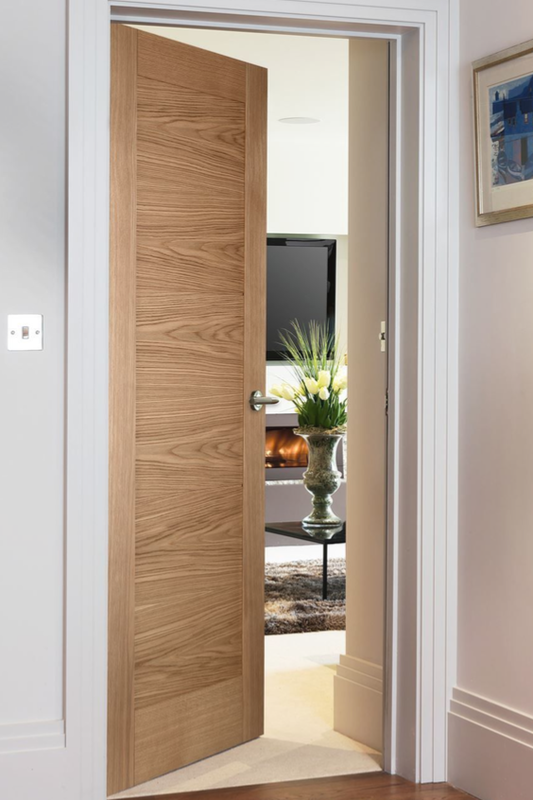 This type of door is a smooth surface adding elegance to the look of your home. The sterling glass panel garage door is a unique look to any garage door that will no doubt be an attention grabber. You also have the option to choose the color that best suits the look of your home. 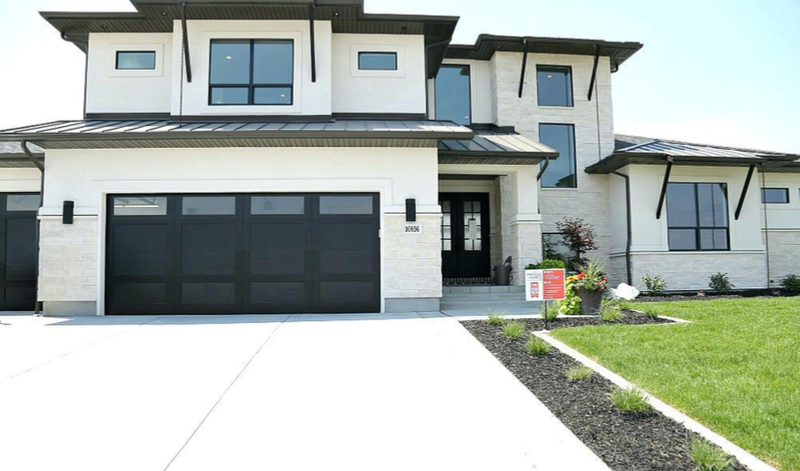 Black garage doors are IN in 2019! This look is trendy and reduces heat and retention in your garage. So, now is the time to go for that black and sleek look to stand out in the new year. Wrightway is the exterior remodeling expert for Winnebago and Fox Valley including Oshkosh, Fond du Lac, and Appleton areas. We have an expansive service area and we also replace siding, windows, and gutters and install gutter guards. Call us out to evaluate how we can free up some of your time for more important things than home maintenance. 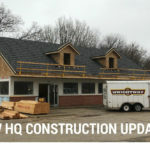 Find out more at www.WrightwayBuilt.com.